It is an extraordinary feeling when you take the best selfie, but what if you can make it even more spectacular by doing some instant changes. 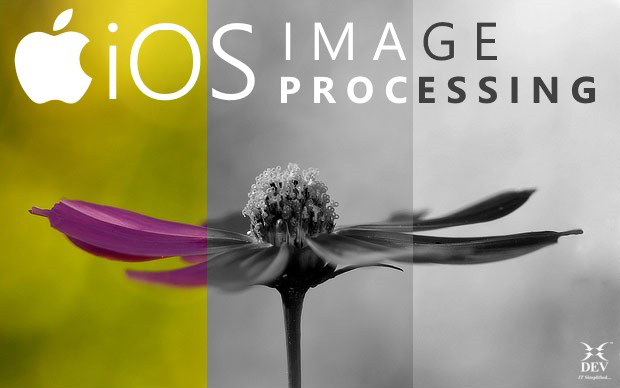 Well, here comes the major entry of Image processing in iOS. Image processing in iOS is all about a method to perform some operations on an image, in order to get an enhanced image. Within this process, various effects like modifying colors, blending other images on top, or many different things can be done. It can be said as a processing which takes an image as input and gives back an image with advanced characteristic or features. Output in which result can be altered image or report that is based on image analysis. Basically, processing image means applying filters. The image filter is such a part of the software which plays an important role in examining the input image pixel by pixel. Post this, it applies the filter algorithmically and creates an output image. Core Image is an image processing and analysis framework designed to provide real-time processing. It is efficient and easy to use for processing and analyzing images. It comes numerous built-in filters. The output of one filter can be the input of another, making it possible to chain various filters together to create amazing effects. You can find countless categories of filters, out of which some can help you gain artistic results. While some will be limited to fix image problems like color adjustment and sharpening the filters. This framework is capable of analyzing the quality of an image in order to provide a set of filters with optimal settings. The settings may include hue, contrast, tone color, correction of flash artifacts and many more. It has an amazing functionality of detecting the human face feature in still images and track them. In Core Image, image processing relies on the CIFilter and CIImage classes, which describe filters and their input and output. To apply filters and display or export results, you can make use of the integration between Core Image and other system frameworks, or create your own rendering workflow with the CIContext class. Let us have a quick glance at the Core Image Classes! CIKernel is something that is available at the core of every filter. It is a function which can be executed for every single pixel on the final image. It actually carries the image processing algorithm that may be required to generate this output image. CIFilter is a lightweight, mutable object that can be used in Swift to create a final image. Now, most of them, accept an input image and arrange parameters. So, for example, the color adjustment filter accepts four parameters, one is the input image, and it has three additional numeric parameters to control the brightness, contrast and the saturation. Core Image has its own image data type named CIImage. CIImage doesn’t contain the bitmap data, but only has the instructions on how to treat the image. It’s only when the output is converted to a renderable format, like a UIImage, for example, that the filters in the chain or the graph are actually executed, so often you’ll hear a CIImage considered to be the recipe for how to construct or create the final image. The fundamental class for rendering a Core Image output is the CIContext. It is responsible for compiling and running the filters – it represents a drawing destination – either the GPU or the CPU. DEV IT is a renowned iOS app development company which can help you know the importance of image processing along with the iOS app development for better and advanced image processing. Stay tuned for more information on Image Processing! I am a technology enthusiast and bibliophile. Possess interpersonal skills and proven abilities to resolve complex software issues. I love writing iOS applications. I always try my hands on different technologies and on its application.